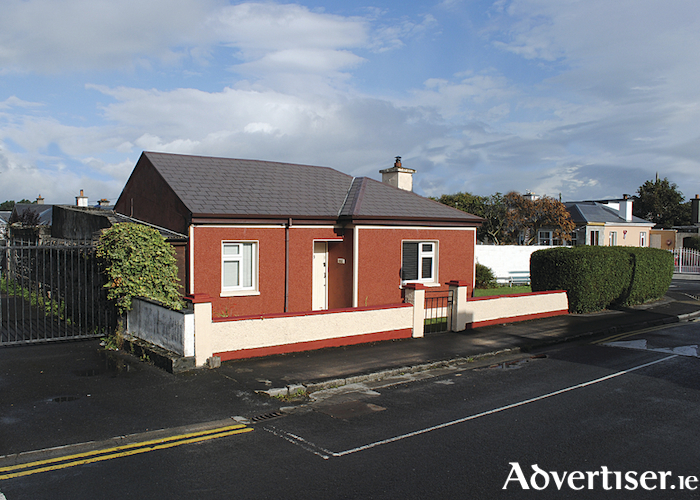 Colleran auctioneers has just been favoured with the sale of No 23 Upper Fairhill, Claddagh, a beautiful detached bungalow on a large corner site. Finding a bungalow in Galway city is difficult, finding a bungalow in turnkey condition in one of Galway's most sought after locations is rarer still. This warm, welcoming, home is close to Salthill Promenade and just a short stroll to the city centre with every amenity on its doorstep. Accommodation includes two bedrooms, a bright, spacious, new fitted kitchen/dining room with a very generous range of new built-in and overhead units and granite worktops, sitting room with a solid fuel stove that complements the oil fired central heating, and a bathroom. This detached bungalow has the added advantage of sitting on a large corner site offering lots of potential to extend if additional accommodation is required. While homes in The Claddagh appeal to everyone from first time buyers to investors, the fact that No 23 Upper Fairhill is a bungalow, and with every amenity on its doorstep, will appeal to anyone looking for a quality city centre home in which to retire. You really need to see this home to fully appreciate the value on offer. Open viewings will take place on Saturday from 1pm to 1.30pm. No 23 will be offered for sale by public auction on October 18 at an advised minimum value of €340,000. Also included in Colleran's next auction is No 129 Castlelawn Heights, a three bedroom semi, AMV €225,000, open viewing Saturday 11am to 11.30pm; No 10B Laurel Park, a three bedroom apartment, AMV €160,000, open viewing Saturday 12 noon to 12.30pm; and No 14 Whitestrand Road, a large six bedroom detached, AMV €500,000, open viewing 2pm to 2.30pm. For further details on these properties and others check out www.collerans.com or contact Colleran auctioneers at 091 562293.